I've been asking council members for weeks when they were going to announce how they were going to go about searching for a new manager. Instead of answering they held all those discussions in executive session with no transparency at all. The read ahead is available as links in the agenda items. I've copied some of them below. The terms of the city manager contract are interesting and I may add my thoughts within the table later. A. An Ordinance To Approve Amendments To Section 1189 Of The City Code Of The City Of Huber Heights (Planning And Zoning Code) (Zoning Case 12-53). A. A Motion To Accept The Resignation Of City Manager James Borland Effective March 15, 2013. B. 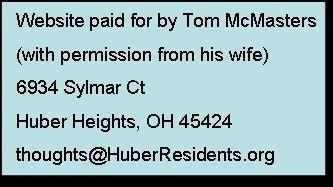 A Resolution To Appoint David Studebaker To The Position Of City Manager Of The City Of Huber Heights, And Declaring An Emergency. C. A Resolution Authorizing The City Manager To Enter Into A Contract With Zimmers & Associates, And Declaring An Emergency. 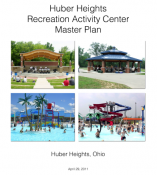 D. A Resolution Authorizing The City Manager To Enter Into A Consulting Services Contract With Conventions, Sports & Leisure International For Purposes Of Preparing And Providing To The City Of Huber Heights A Feasibility Study With Regard To A Music Center For The City Of Huber Heights, And Declaring An Emergency. E. An Ordinance Providing For The Issuance And Sale Of Notes In The Maximum Principal Amount Of $350,000, In Anticipation Of The Issuance Of Bonds, For The Purpose Of Paying The Property Owners’ Portion, In Anticipation Of The Levy And Collection Of Special Assessments, Of The Costs Of Improving Public Streets And Easements Between Certain Termini By Constructing Certain Roadway Improvements, Including Excavating, Grading, Paving, Installing Drainage, Sanitary Sewer Laterals, Water Distribution Lines, Street Lighting, Irrigation And Signage, Together With All Necessary And Related Appurtenances, And Declaring An Emergency. F. A Resolution Authorizing The City Manager To Expend Funds To Cover The Costs Of Various Goods And Services Ordered By City Departments/Divisions, And Declaring An Emergency. G. An Ordinance Authorizing Advances And Transfers Between Various Funds Of The City Of Huber Heights, Ohio And Amending Ordinance 2012-O-2005 By Making Supplemental Appropriations For Expenses Of The City Of Huber Heights, Ohio For The Period Beginning January 1, 2013 And Ending December 31, 2013 (Various Capital Improvement And Operations Funding), And Declaring An Emergency. H. An Ordinance To Approve Amendments To Section 1189 Of The City Code Of The City Of Huber Heights (Planning And Zoning Code) (Zoning Case 12-53). I. A Resolution Authorizing The City Manager To Enter Into An Agreement For The Replacement Of The Bridge Deck, Converting The Abutments To Semi-Integral, And Painting The Structural Steel On Structure File Number 5706092 MOT 70 17.83 Within The City Of Huber Heights, Montgomery County, Ohio, And Declaring An Emergency.